Hatton Country World (HCW) is one of the Midland’s leading leisure, outdoor adventure and shopping venues, a unique and historic destination attracting families and children from across the UK. They wanted to establish the profile of existing visitors by attraction and experience, by unlocking the intelligence currently held within their data. Identifying the pen persona profile of their current visitor base would also provide the ability to size the potential visitor pool within their target catchment area, thereby enabling HCW to build both membership and visitor footfall. 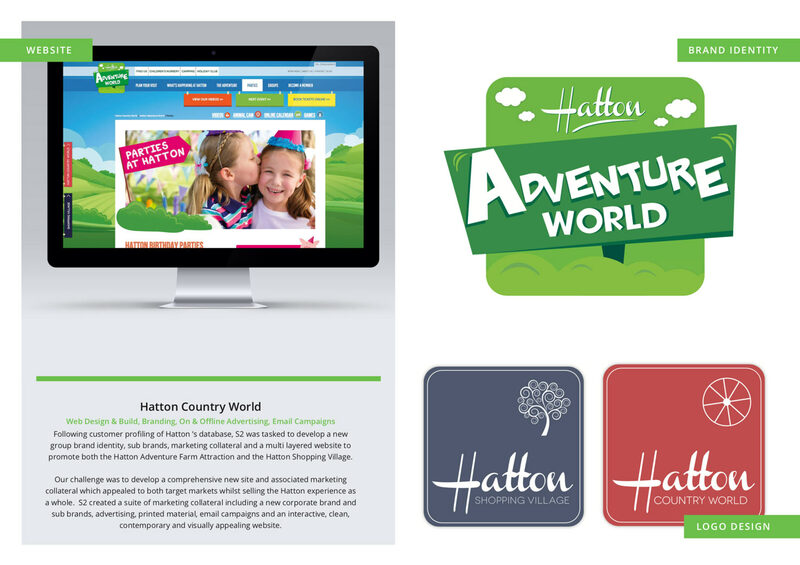 S2 was also commissioned to develop a new Hatton Group brand identity, sub brands, marketing collateral and a multi layered website to promote Hatton Group, Hatton Adventure World, Hatton Shopping Village, Hatton Nursery, Hatton Food & Drink and Hatton Camping. Using our data mapping software, Map2Stats, S2 carried out analysis on HCW’s existing database, profiling the current customer base against both Hatton Shopping Village and Hatton Farm visitors. Common characteristics across each customer base were analysed using S2’s extensive life stage, affluence, behavioural, mobile, online and communication preferences databases. S2 was also able to provide a 360 degree view of an individual’s experience including number of visitors, the attractions visited and distribution of visitors providing an accurate catchment area for future prospect targeting purposes. S2 also developed a new brand identity for the group and each area of the business. 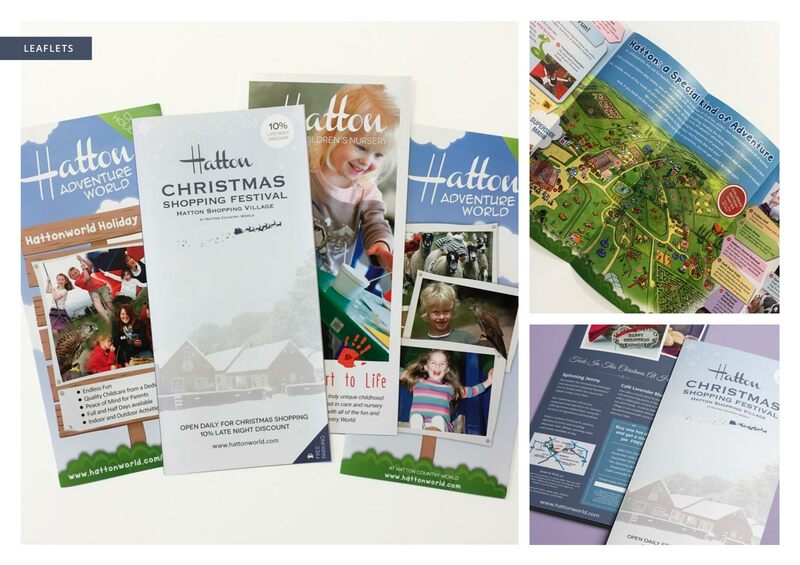 A highly impactful and interactive website was also created together with a range of marketing material including signage, brochures, leaflets and DM pieces all highlighting the tradition and heritage of Hatton and its welcoming environment. Using the pen persona profiles, we also worked on numerous email and DM based seasonal campaigns helping to drive traffic to the venue. Segmenting our customers by pen personas has enabled HCW to identify missed opportunities within their own customer base for up and cross selling. Furthermore, understanding the type of person who visits them for each attraction has provided a clear direction on how to communicate and target these people more effectively. Analysing the distribution of customers has helped focus targeting within drive-time catchments. The customer insight provided enables Hatton to identify look-a-like prospects that match each of their segments for customer acquisition campaigns.